This is such a great post by Beauty Redefined from 2013. We as a society used to complain about Photo-shopping by media moguls which only showed “perfect” women and men. Now we can do it to our own photos. We can make ourselves tan when we aren’t, or erase wrinkles or smile lines. If there is a tummy bulge from a good meal, we can slim the photo of ourselves down. If the media was at fault for distorted, unrealistic images, what does this say about us when we can literally pick out our “flaws” and change them immediately so no one else can see them? Why do we judge ourselves based on someone else’s standard? We are all different. We come from different parents of different races and different backgrounds. So why would we think we are supposed to look like someone on a magazine cover or in a movie? 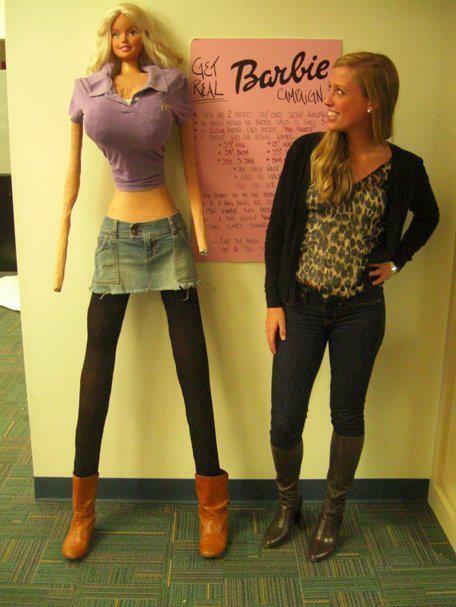 I won’t even get into the unrealistic beauty standards that the media (and society) sets for us. I believe that most of us know how magazines or movie posters are airbrushed. We know that editing of TV programs and movies makes actors and actresses appear beautiful. We know how plastic surgery abounds, especially in media. What I’m talking about is why we would think a weight loss program that worked for our friend will work for us? If our friend lost weight, why do we think we have to do the same? Why can’t we look at ourselves, our imperfections and all, then tell ourselves we are special? We do come from different backgrounds, we do have different life experiences. We work to do our best in all areas of our lives and that is all we need to do. I think back to times I tried to be something that I wasn’t and never could be. For example, I am of Scottish descent. I’m fair skinned with red hair and freckles. When I was younger, I was teased for all of those things. I couldn’t wear shorts without someone telling me how white my legs were. I tried lemon juice to lighten my freckles, self tanner to darken my skin, hair color to be more blonde, and even perms to get my fine red hair to be curly. I was trying to be someone I wasn’t and never could be. I wanted to be dark skinned and dark haired like my friends. I laugh about it now, but I still find myself self-conscious at times about my white legs. Fortunately, I can see my worth in other things that aren’t physical. However, we still struggle to be thinner, younger, more muscular, whatever we see as someone else’s standards for attractiveness. Let’s make a change in 2014 and believe in ourselves! According to the National Eating Disorder Association, 40 to 60 percent of young girls start to feel anxiety about their body size or shape by the age of 6. About 20 million women and 10 million men suffer from an eating disorder at some point in their life, including anorexia nervosa, bulimia nervosa and binge eating. Moms and even Dads unconsciously send messages to their children every day about how they should look by the words we say to ourselves. If you say, “I’m so fat” out loud in front of your kid, what message are you sending to them? Are you telling your daughter that they have to look perfect? Are you telling your son that only women with perfect bodies are worthy and all others are to be teased? Did I make mistakes? Sure I did. I didn’t buy Barbies for her and some family members thought that was extreme. I bought science kits, educational toys, and sports equipment. However, as I look at my now adult daughter, I think I did alright. She graduated from college where she played a year of softball, she was married last year, she has a successful job, she’s strong and athletic, she’s kind and thoughtful, but can also stand up for herself. I remember once when she was in college, we were talking on the phone and she mentioned her roommate’s obsession with weight. She told her roommate that they were the same size, so when she says she’s fat she is also saying they are both fat. She told her roommate to accept herself, exercise and eat right if she doesn’t feel healthy. I was so proud of my daughter…she actually WAS listening to her mom all of those years! Reading this blog from Beauty Redefined made me think about why I do what I do. I’m not a “typical” personal trainer who will push you to obtain a “perfect” body (whatever that is). I am an educator of healthy lifestyles. I don’t want you to lose weight in an intense 6 week program. I want you to know how to eat and how to be active for the rest of your life. I want you to fight off preventable disease. I work primarily with individuals with chronic disease and older adults. I teach people with Parkinson’s disease to be more active and to be confident in their abilities, sometimes helping them re-learn something we take for granted…walking. I don’t want you to exercise or eat healthy for vanity reasons. I want you to do this to feel healthy, to reduce stress, anxiety, and depression, to increase neuroplasticity in your brain, to feel confident in yourself, and to be strong. I want you to know that regardless of how you were teased as a child or even if you were abused, you are worth taking care of. Take time to examine your reasons to lose weight. Is it to look like some celebrity? It is because your significant other thinks so and so is “hot”? Is it because you look at magazines and think that’s how you should look? Do you think you’re supposed to have a “thigh gap”? Have you bought into the myth that skinny means healthy? Rethink and redefine your ideas on weight and body size. You will be a much healthier and happier person!